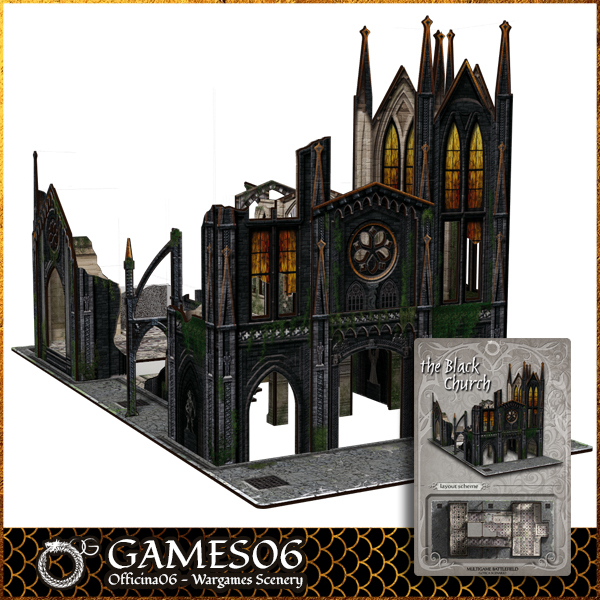 The GOTICA scenario is designed to adapt to all types of existing wargame, as is made to the optimum scale for 28 / 35mm miniatures. All components are made of MDF to which it has been applied on both sides a printed waterproof PVC. All sets and individual pieces of the GOTICA line are compatible with each other. 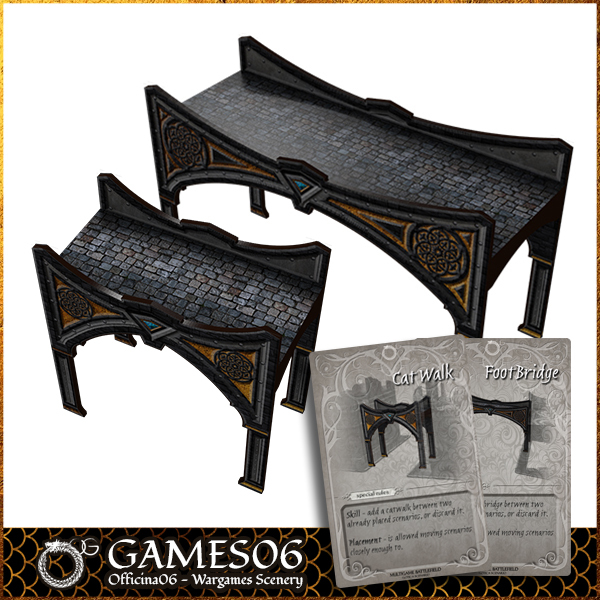 Due to the innovative Battlefield Multigame System of Games06, assembly and disassembly become quick and easy, thanks to the magnetic hooks inserted. The BLACK CHURCH card of the Multigame Battlefield System attached. For more information on the table random generation system go to the “CARD SYSTEM” section of the games06.com website. 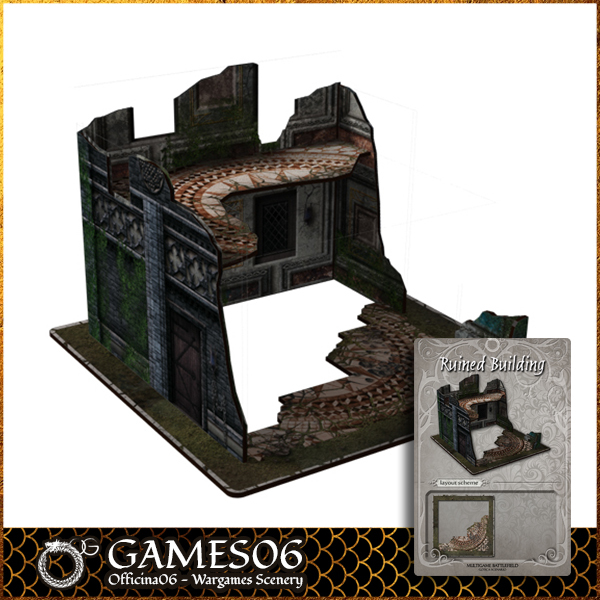 The RUINED BUILDING #01 card of the Multigame Battlefield System attached. 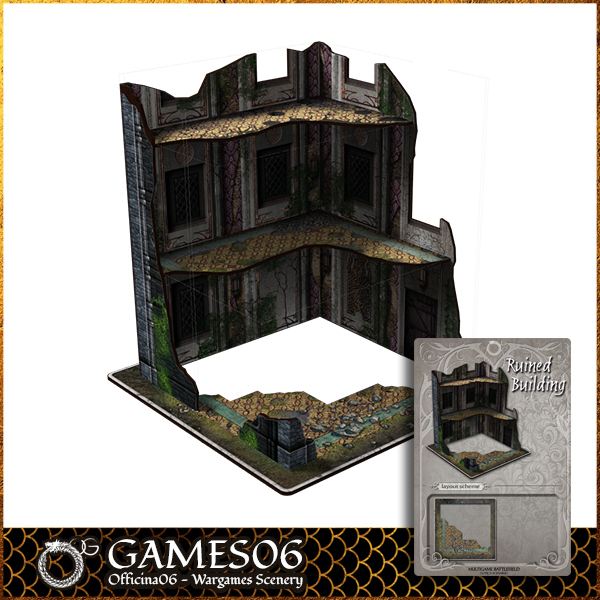 The RUINED BUILDING #02 card of the Multigame Battlefield System attached. 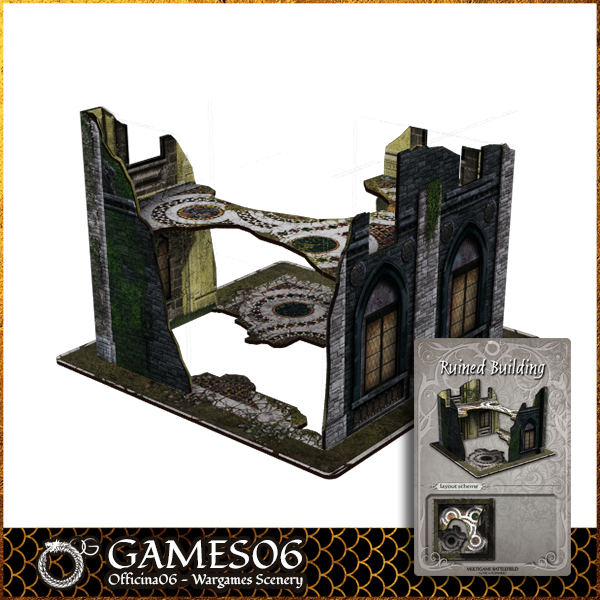 The RUINED BUILDING #03 card of the Multigame Battlefield System attached. 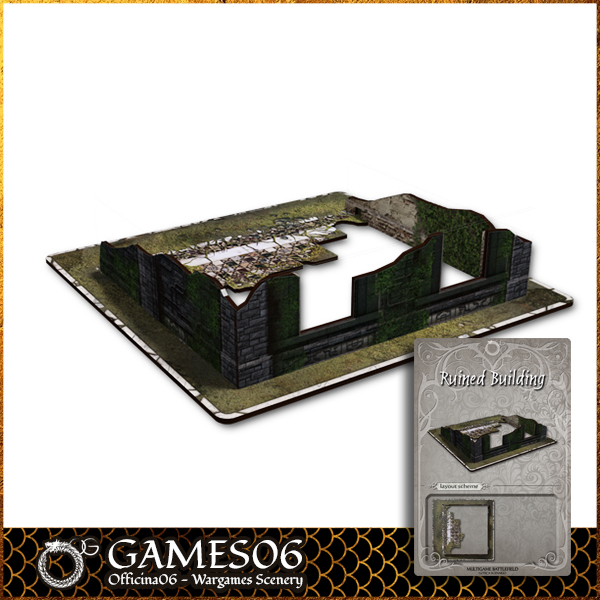 The RUINED BUILDING #04 card of the Multigame Battlefield System attached. The BRIDGE and CATWALK SET cards of the Multigame Battlefield System attached.